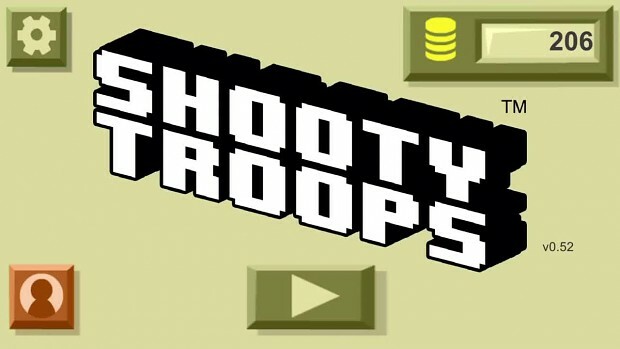 SHOOTY TROOPS™ - The Endless Arcade Shooter. Pick a character and battle wave after wave of baddies on procedurally created levels. Fight tooth-and-nail through the levels with a simple pistol while keeping an eye for random weapon upgrades. Use character specific special abilities such as grenades, air strikes, flamethrowers and more! Challenging yet simple and addicting! Your fingers will be sure to thank you. - You'll never play the same game twice! - New characters added monthly, each with their own unique special ability, voice tracks and personality! - Big Guns, Little Guns and Miniguns! *Character special abilities and voice tracks are not available in beta builds.